One of the most common shortcomings of many business owners is a lack of appreciation for and understanding of the financial results of the business. Too often, the financial analysis goes no further than balancing the checkbook and minimizing taxes. While these are important issues, the numbers generated by the business can tell you so much more, if you care to listen and learn. "I don't understand them! Why bother?" "Things are fine. I'm making money, so what difference does it make?" "I don't have the time. I'll get to it someday." "I'm afraid of what they will tell me. What if I find out my business is a failure?" "I can't afford a bookkeeper." "It's just me! As a solepreneur, why do I have to keep track of the numbers?" "I don't know where to begin." Finding loose change: Exploring your monthly financial statements can help you identify opportunities for savings. See where you are going before you get there: When tracked over time, your numbers will help you spot trends (both good and bad) so you can respond appropriately. Negotiate from strength: When you need a loan, knowing your numbers goes a long way towards a successful loan process. Fact vs. Feeling: While gut instinct is a valuable ally, why not increase your odds of making right decisions by understanding the financial impact before you make them? The courage of knowing: there is strength in knowing what's really going on. When it comes to building a successful business, use every means to achieve it. This includes educating yourself on your financials. Your numbers tell a story, if you take the time to listen! 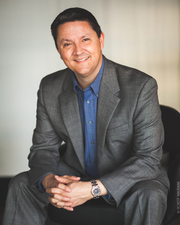 Warren Williams is the president of TurningPoint Coaching for Business Performance, Inc.